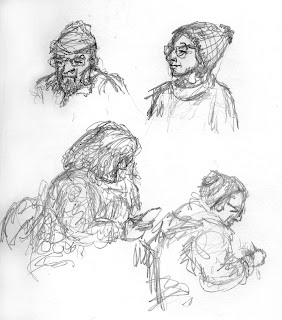 A few more sketches of people. This was while I was at Positive Pie in Montpelier, Vermont. It is a great Pizza Place. My go to pencil it a 3H. The latest leads that I got are harder than they have been in the past. It feels more like a 4H. I am wondering if I got a mixed batch.